Thanks to everyone who participated in our shuttle surveys! We listened and have added 2 shuttle routes that run in opposite directions. In addition you can now track the shuttles on the Owl Express Tracking Page. The site now gives you a visual on bus map as well as letting you know the ETA for your chosen stop. 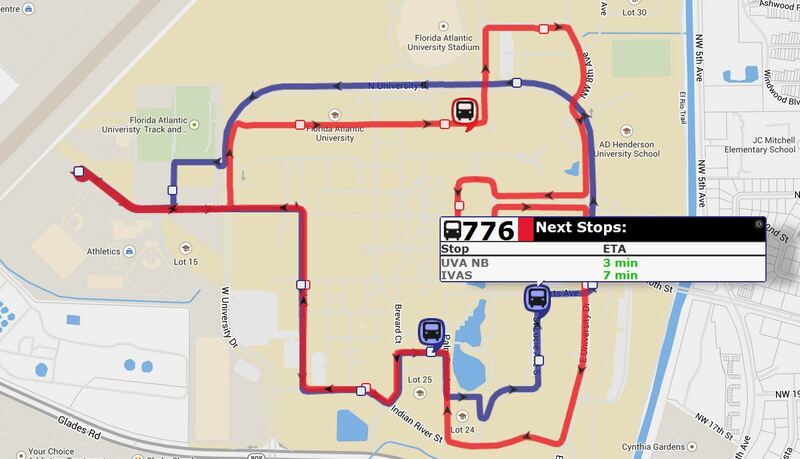 You can check out Real Time Shuttle tracking at the FAU Mobile App or on the Owl Express Tracking Page.